Above: Butch in the Kitchen at the Kitchen in NYC making heart-shaped hamburgers. Amidst a wide range of art world gentry, Florence showed up looking for a hot meal. She was under the impression that The Kitchen was a soup kitchen. 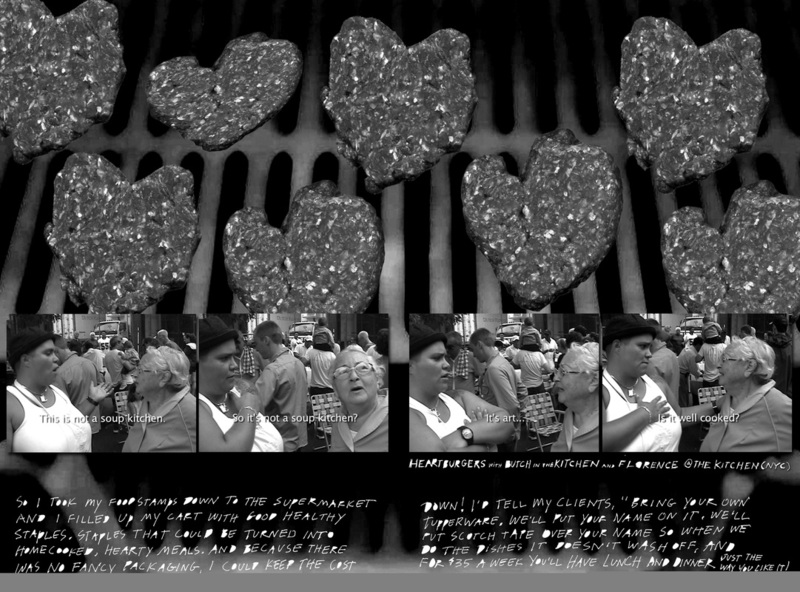 Butch fed Florence a "heartburger" and Florence gave Butch the key to her heart. Below: select pages from Butch in the Kitchen in Rethinking Marxism: A Journal of Economics, Culture, Vol. 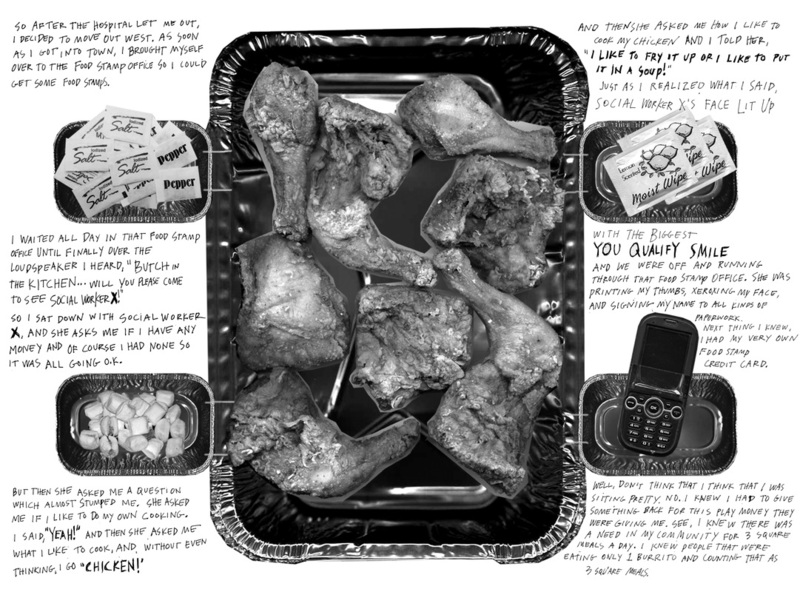 23, Issue 4, 2011.